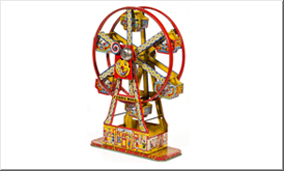 Be transported to back to another era in the fun NEW exhibition spotlighting the history and innovation of toy manufacturing in New Jersey. Everyone knows that the spaces on the Monopoly game are named for Atlantic City streets. But did you know that the inventor of the spring-loaded mechanism found on pinball machines lived and worked in Jersey City? Or that Lionel – the biggest name in model railroading – had factories in Hillside and Irvington? Or that one of the country’s largest makers of tinplate mechanical toys was located just off Broad Street in downtown Burlington? Or that a factory in the Chambersburg neighborhood of Trenton earned the nickname “World’s Largest Doll House” because it manufactured hundreds of thousands of dolls each year? 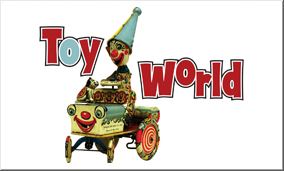 Toy World, a fun-filled exhibition coming to the New Jersey State Museum this autumn will focus on the little known stories of the important role New Jersey played in the history of the American toy industry.